Six students from four states have been awarded scholarships for the 2017-2018 academic year in the 10thand final year of Dominion Energy’s Memorial Scholarship Program. The scholarship program was established in memory of Matthew Gregory Gwaltney, Rachael Elizabeth Hill and Nicole Regina White – the children or grandchildren of Dominion employees – who were slain in the April 16, 2007 shootings at Virginia Tech in Blacksburg, Va. 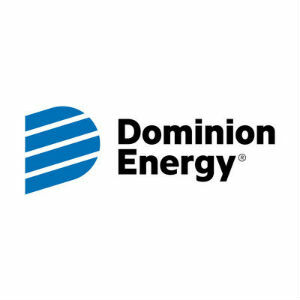 The scholarships were available to the children of Dominion employees and retirees. Each scholarship was renewable for up to three years. In total, $1.5 million has been awarded to 60 students in nine states. Sarah Barnett, Fruit Heights, Utah, will attend Brigham Young University to study Elementary Education. Sarah Batt, Eldred, Pa., will attend Canisius College to double major in Biology and Psychology. Brandon Haynes, Fredericksburg, Va., will attend Virginia Commonwealth University to study Pre-Med. Dana Slayton, Mechanicsville, Va., will attend Cornell University to study Near Eastern Studies. Dalia Tabachnik, Highland Heights, Ohio, will attend Bowdoin College to study Earth and Oceanographic Science. Austin Wilson, Clarksburg, W.Va., will attend Villanova University to study Political Science. Emily Wade, daughter of employee Adrian Wade, was one of the original 2008 recipients. Having completed her undergraduate degree, she now works at the Office of Advancement at Smithsonian’s National Air and Space Museum in Washington, D.C.
After working briefly at Dominion Energy, Sam is now a graduate student in Mechanical Engineering at the Colorado School of Mines.